The first diamond-shaped badge was worn by the Adelpheans in 1852. Stars were not included on this first badge, but it did have a monogram of the Wesleyan pin attached to the badge by a link chain, thus forming a guard. In 1854, the stars were added, but it was not until 1874 that the stars and the clasped hands were raised. This design remained with only slight modifications until 1906 when, at Alpha Delta Pi's first convention, Nanaline King presented a new design for the pin. Her design was a smaller gold badge with a black enamel center which pictured the clasped hands, the two stars, and the greek letters, Alpha Delta Phi. This design was adopted by the convention and is the same pin we have today, with Alpha Delta Phi being changed to Alpha Delta Pi at the 1913 convention. The lion is the mascot of Alpha Delta Pi. Our lion is nicknamed Alphie. 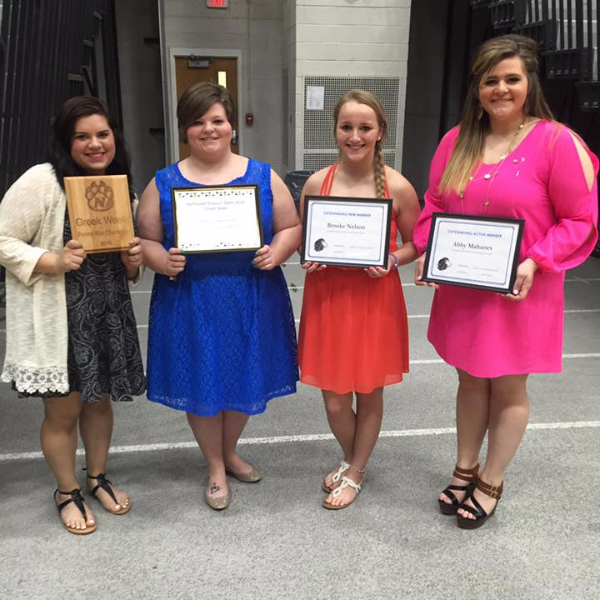 Azure blue and white are the official colors of Alpha Delta Pi. 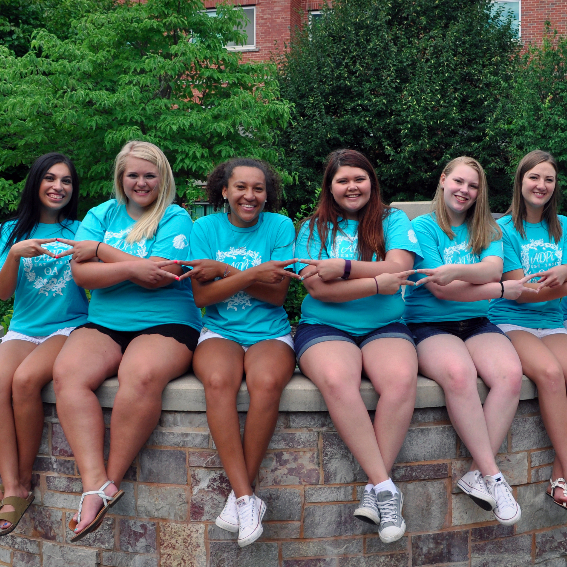 Blue is symbolic of friendship, the basic spirit upon which Alpha Delta Pi is founded. White symbolizes sincerity and truth. 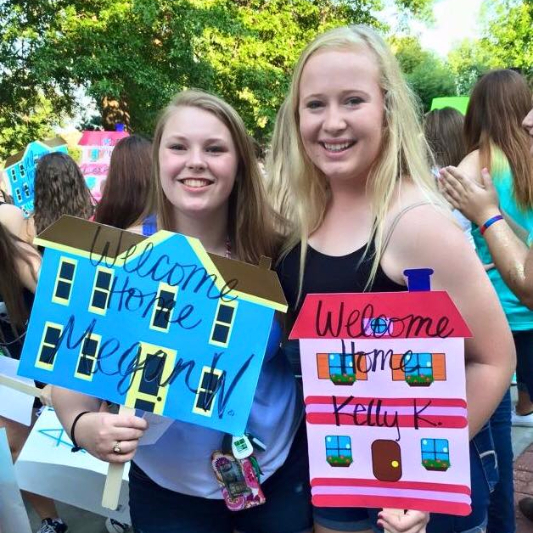 Alpha Delta Pi seeks these qualities in all its members. The Woodland Violet, which grows wild, is the official flower. Because it is unavailable for purchase, African Violets are often used to symbolize the Woodland Violet. Elizabeth Moseley Coles, who was elected national president at the first grand convention, was responsible for having the coat of arms designed. Another sister of Alpha chapter, Agnes Chapman, is given credit for the actual design of our coat of arms. Symbolism from our ritual and our Alpha pin were combined in the coat of arms, and the design originally had a background of violets. In 1919, the convention body voted to make changes and the present design was accepted.